Erythropoietin – active EPO for… hematologists! You are here: Home / Headlines / Cell Sourcing - Cell Culture Technologies / Erythropoietin – active EPO for… hematologists! EPO has a reputation with many non-scientists through bad press in the cycling/racing environment. From a researcher’s point of view, Erythropoietin or EPO is a 34 KDa glycoprotein known as the main player in erythropoiesis (red blood cell production). During fetal and perinatal period it’s predominantly produced in the liver, while in adults it is mainly released from interstitial fibroblasts in the kidney. Besides its crucial role in erythropoiesis, EPO is also involved in wound healing and the brain’s response to neuronal injury. Under hypoxic conditions, the biosynthesis of EPO is induced by the cooperative action of the transcription factors HIF-1, CREB and p300. As mentioned, this process mainly takes place in the kidney of adults. Functioning as a hormone, EPO is distributed to its site of effect. EPO exhitits its effect by binding to cells exposing EPO receptors. 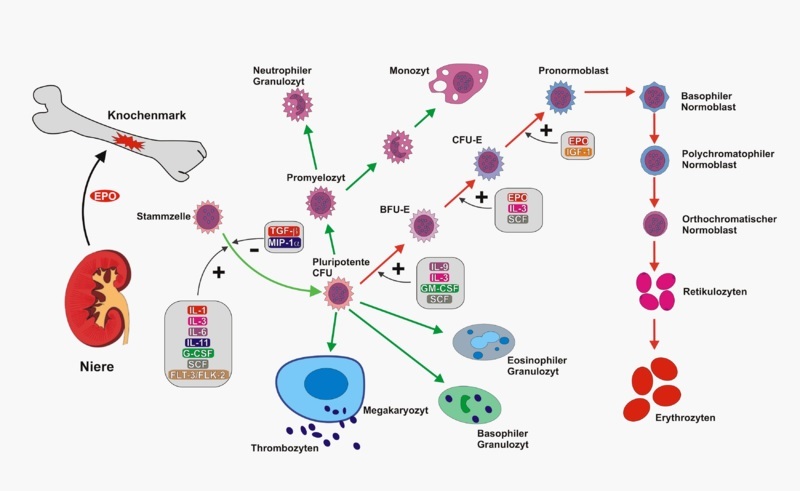 Amongst other target cells EPO binds to BFU-E cells (Erythroid Burst Forming Unit) in the bone marrow, precursor cells that mature to CFU-E cells (Erythroid Colony Forming Unit) which subsequently differentiate to form mature erythrocytes (see Fig. 1). 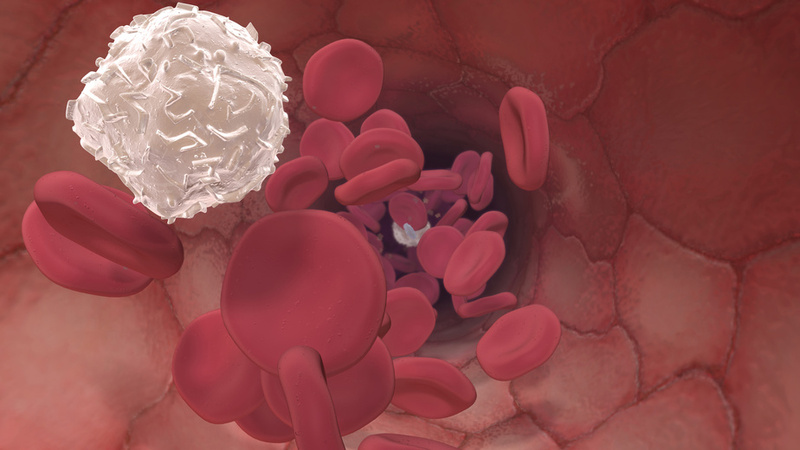 To help you in your research on erythropoiesis, PBL Assay Sciences offers highly active EPO. This EPO is produced in CHO cells to ensure mammalian-like glycosylation. The bioactivity has been determined in the model of the ex-hypoxic polycythemic mice vs. the international standard (EPO NIBSC #87/684). And if you’re interested in blood cells (available from tebu-bio), discover 6 good reasons (in short!) to use our blood derived cells! Need more information about our EPO or you want to test it? Get in touch through the form below.